"Never let go of your dreams, and you will always find hapiness." "Like the stars, aim for the sky and you will surely shine." Never Give Up. And Never Stop Believing! Welcome to the Official site of "Eternally Elvis" starring Caesare Belvano. As you browse through the pages you will see it's Caesare's heart that separates him from all the others. With a NEW fresh perspective on an age old tradition, Caesare sets out to revolutionize all concepts of the Elvis Impersonator-Tribute Artist Industry. 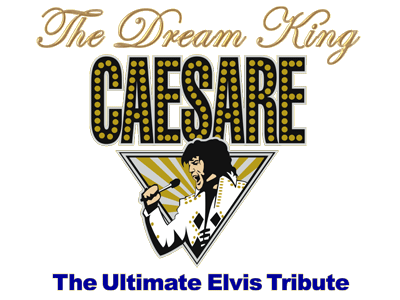 Caesare DOES NOT pretend to be Elvis, although he performs from his heart as "The King". There is a unique quality within Caesare Belvano that puts his tribute above ALL others. Eternally Elvis In Concert recreates the musical atmosphere of the '50s, '60s and '70s with high-energy interpretations of "The King" Elvis Presley's greatest hits. The Man, The Music, The Legacy. Eternally Elvis In Concert is the ultimate musical tribute of the one who revolutionized the American popular music and became the most famous entertainer ever. Caesare Belvano recreates the electrifying rise and the exceptional career of Elvis Presley throughout his performance. Regarding the critics, they are unanimous: Eternally Elvis In Concert is The Closest To The KING that you will ever see. This site is to energize the power needed to continue Caesare Belvano's presence into the new millennium. To accelerate the spirit of Eternally Elvis in Concert. Provide information, promotional material and merchandise available to Caesare's loving fans. 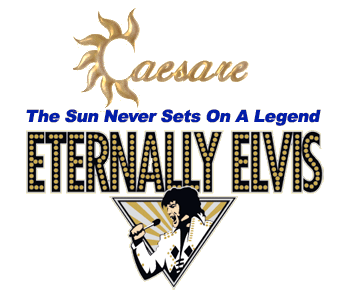 Caesare's mission is to let the world know about the man who keeps the spirit of Elvis Aaron Presley alive through theatre, cabaret, casinos, and all staged or prerecorded medium… Additionally this site will spread the knowledge of Caesare and all that he represents. This site is further dedicated to Elvis Aaron Presley himself, informing the world traveler or local theatergoer of all performance relating to keeping the fire and memories of him alive through "Eternally Elvis in Concert" starring Caesare Belvano.